Madrid, Spain, 13 July 2018. The Pokémon Company International today announced Dragon Majesty, a brand-new expansion for the Pokémon Trading Card Game, launching across the UK on September 7, 2018. 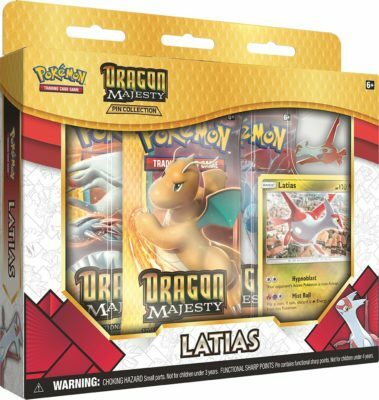 Dragon Majesty brings a mighty horde of draconic Pokémon: Reshiram-GX, Salamence-GX, Dragonite-GX, and over a dozen more, including Charizard! For more information about Pokémon TCG: Dragon Majesty, please visit: pokemon.co.uk/TCG.